The term magic realism describes contemporary fiction, usually associated with Latin America, whose narrative blends magical or fantastical elements with reality. 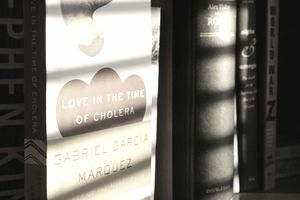 Magic realist writers include Gabriel García Márquez, Alejo Carpentier, and Isabel Allende. The term was coined first by German art critic Franz Roh in 1925, but it was Alejo Carpentier who gave the term its current definition, in the prolog to his book "El Reino de Este Mundo." "The marvelous," he writes, in a translated version, "begins to be unmistakably marvelous when it arises from an unexpected alteration of reality (the miracle), from a privileged revelation of reality, an unaccustomed insight that is singularly favored by the unexpected richness of reality or an amplification of the scale and categories or reality, perceived with particular intensity by virtue of an exaltation of the spirit that leads it to a kind of extreme state [estado límite]." As the poet Dana Gioia reminds us in his article, "Gabriel García Márquez and Magic Realism," the narrative strategy we know as magic realism long predates the term: "One already sees the key elements of Magic Realism in Gulliver's Travels (1726) ... Likewise Nikolai Gogol's short story, 'The Nose' (1842) ... fulfills virtually every requirement of this purportedly contemporary style. One finds similar precedents in Dickens, Balzac, Dostoyevsky, Maupassant, Kafka, Bulgakov, Calvino, Cheever, Singer, and others." But Carpentier's intention was to differentiate lo real Maravilloso americano from the European surrealist movement. In his mind, the fantastic in Latin America was not achieved by transcending reality, but was inherent in the Latin American experience of reality: "After all, what is the entire history of America if not a chronicle of the marvelous real?"